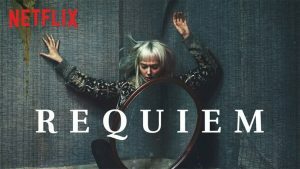 On the heels of a fresh push for platform-specific content, Netflix released Requiem. It’s a six episode British miniseries set primarily in the small town of Penllynith. Billed as a supernatural thriller, the story revolves around Matilda Grey, an award-winning cellist played by Lydia Wilson, and her ever increasing obsession with a decades old mystery. This review does contain some spoilers to discuss its finer points. Wilson is spurred on to investigate Penllynth after the abrupt, gruesome suicide of her mother. When she arrives with her best friend Harlan “Hal” Fine, played by Joel Fry (Game of Thrones), she applies her amateur detective skills to solve a cold case: the disappearance of a young girl, Carys Howell. From the first episode, the supernatural elements are apparent. Whether they be ghosts, demons, or angels, we hear, see, and feel the trappings of a haunted tale: disembodied voices, flashes of light, doors banging shut, etc. — even visions. As Matilda becomes drawn deeper and deeper into Carys’ kidnapping, she begins to question her own identity, and pursues that thread without recognizing or realizing the consequences for her actions. She must know. Something — or someone — is pulling her along, and Matilda has no choice but to unravel the tenuous threads holding her together. 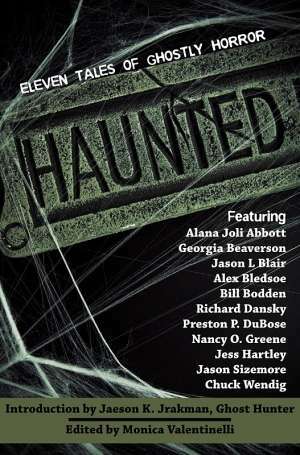 Behind the “why” is a tale of the supernatural that is secondary to the rest of the story. This, by far, was the weakest element of Requiem, because I didn’t get a clear sense of motivation. While most of the “how” was expertly done, in part because the means of contacting or controlling the supernatural tied into the kidnapping itself, there were significant details that were unclear to me. For example, one trope is to tie a modern ritual to an old secret or occultist, in this case John Dee. While name dropping aspects of the occult can work, you need to have a strong character motivation because the occult, even in a thriller, represents the secretive and forbidden unknown. In “The Ninth Gate” that sense of “Oh, maybe I shouldn’t do this.” is clear, because that film (and The Club Dumas novel by Arturo Pérez-Reverte it’s based on, clearly shows the events take place to summon the Devil. Not so here. In Requiem, the events take place to summon an archangel, and there’s clearly a hierarchy of angels reminscent of On the Celestial Hierarchy penned in the fourth or fifth century by Pseudo-Dionysus the Areopagite. 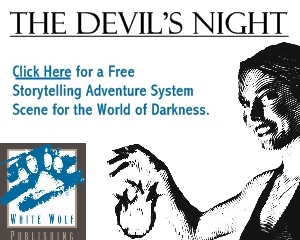 What’s more, however, is that lesser angels or demons may be controlled by the user. This is never shown to the viewer, partially because the focus of this series is firmly planted on Matilda’s character, but I do feel it’s to the series detriment that certain trappings aren’t shown. We also don’t hear the name of an archangel, though we “sort of” do with one of the other lesser entities, which obscures the mythology a bit. Though I don’t feel the archangel’s name was necessary, because any naming conventions would trigger a deeper dive into the mythology, my issue with the last episode goes back to the question “Why?” Why summon an archangel in the body of a victim? This is not only a crime, it’s the theft of a child’s soul. What motivates someone to abuse another human being in this way? Revenge? Power? Love? Adoration? Fealty? What? And, even more importantly, if you failed the first time why wait yet another twenty years to try again. If you were truly that desperate, wouldn’t you keep trying? And, if you didn’t, wouldn’t you be incredibly out of practice if you hadn’t gotten the old gang together in 20 years? How would you know what worked and what didn’t unless you’ve continued to practice to make sure you got it right the next time? Keep in mind, “a” character’s fascination with the supernatural might explain one motivation, but that is not enough to sustain an entire group of people who will do anything — even murder — to commit to their goals. The more questions I ask about the last episode’s revelations about the supernatural conspiracy, the more frustrated I get. Requiem could have had a remarkable ending, but instead the series didn’t deliver the magic I was hoping for. With all that said, I do feel that the mystery aspects of the story, when combined with the musical trappings and small town intrigue, redeem Requiem as a stand-alone story of identity and the ethically questionable actions a character would take to find the truth. The exploration of consent, courtesy of Hal, was a welcome addition and nice subversion of the “I must know at all costs” trope, and I’d like to see more of that in future thrillers. If you’re looking for a solid, British murder-kidnapping mystery that’s more Eyes Wide Shut than The Ninth Gate, then I would check out Requiem.